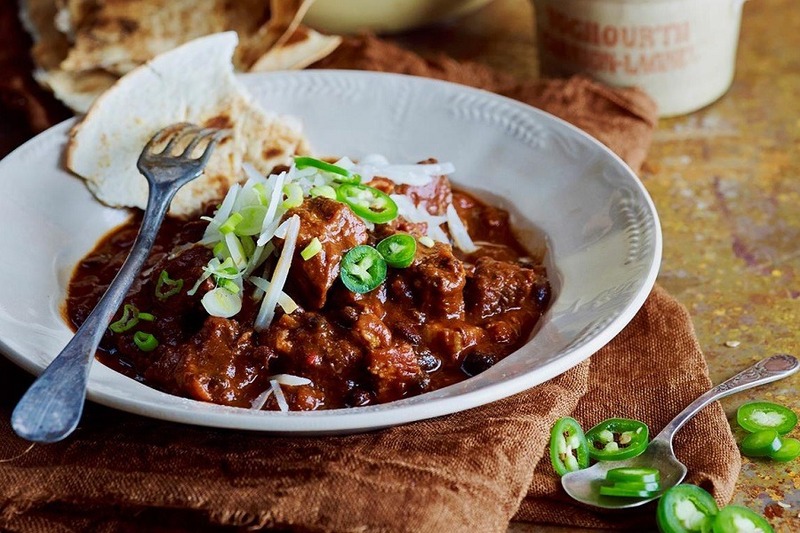 There’s no denying that Mexican food and slow cookers were made to be together. Somehow, this amazing kitchen appliance just seems to work so well with the flavors and spices of Mexican cuisine, as evident in these unique recipes. Whether you’re in the mood for soup, salad, tacos, burritos, or something else, there’s a recipe here to match every type of Mexican fare. Who said Mexican food had to be all tacos and burritos? 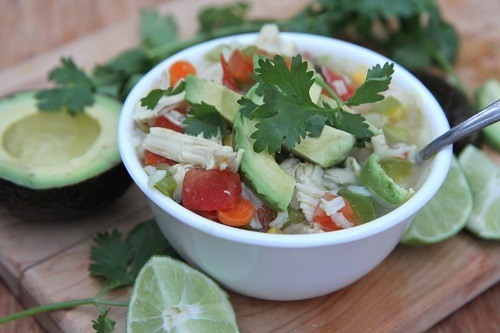 This Mexican chicken soup is so simple to create with your slow cooker, and it’s ideal for freezing too. Make extra and store it away for those days when you don’t feel like cooking. Place stock, onion, garlic, shredded chicken, lime, salt, pepper, and chicken broth into your crock pot and let it cook on low for eight hours. When done, serve with additional lime wedges and some fresh cilantro. This makes the perfect entrée to a full Mexican feast, or something a little lighter for dinner. 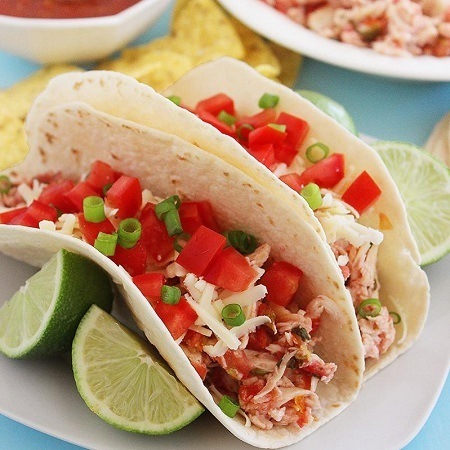 As you may have guessed from the name, this simple dish combines just chicken and salsa to bring a flavorsome filling for salads, tacos, or any other Mexican dish you like. The best part is, you can make it when your cupboards are bare but you’re still itching for some Mexican. Combine four chicken breasts and two cups of your favorite salsa to the slow cooker, and heat on low for eight hours or high for four. Once cooked, shred the chicken up in the pot and serve as you wish. This traditional Mexican dish is used as the filling for a whole range of dishes such as tacos, burritos, and salads. A little more in depth than two ingredient chicken, it’s bursting with rich flavors and spices that Mexican food is known for. 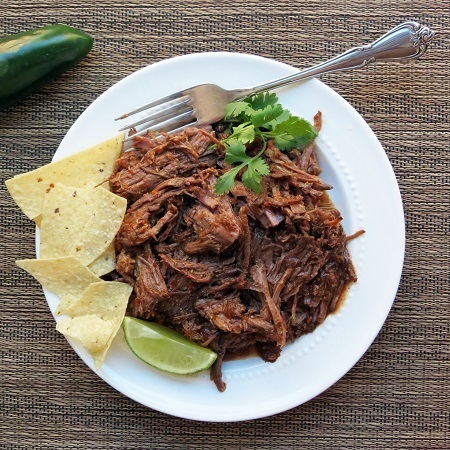 Combine all of the ingredients into your slow cooker, including chuck roast, garlic, chipotles, green chili, broth, oregano, and more and let them cook for eight hours on a low heat. Shred your beef up in the pot once done, and serve as you wish or freeze some for a rainy day. One of the most popular features of Mexican meals, refried beans are often purchased in a can. 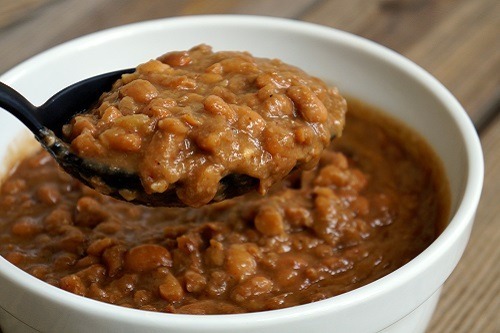 Unfortunately, this loses a lot of flavor and nutrition, so why not use your slow cooker to make these simple yet authentic beans for your next meal? Mix four cups of dried pinto beans with enough water to cover them into your slow cooker, placing on high for around three hours. Once cooked, add in salt and garlic powder for flavor. Heat some oil in a pan and pour the bean mixture in, then mash together once fried. 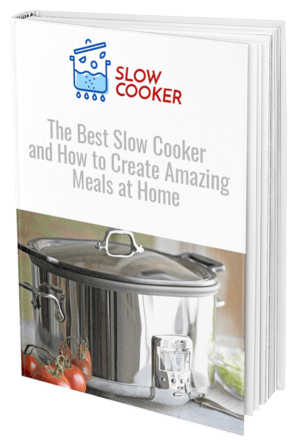 Why not let your slow cooker take the hard work out of preparing an authentic Mexican feast and wow your friends and family with the rich flavors and spices that you can achieve. Preparing the meals are easy, and cleanup is a breeze with a slow cooker, so dinner is practically taken care of for you.